We mark Mother’s Day on the anniversary of Henrietta Szold’s death even though she was not a biological mother. I’ve long had a Mother’s Day problem. I think it started in fifth grade in Connecticut when my teacher made us copy a poem with beautiful penmanship (which I never had), glue it to construction paper (always a mess) and recite it to our mothers. I was okay on the reciting part. But the teacher had chosen the poem “Somebody’s Mother,” by Mary Dow Brine. I got off to a dramatic start: “The woman was old and ragged and gray,” when my mother – a teacher herself, with strong principles about creativity – would hear no more. She crumpled the paper and told me that if I wanted to recite poetry to her it should be my own and not poems about old, gray mothers, which she certainly wasn’t. By most accounts, American Mother’s Day was invented by Anna M. Jarvis, in honor of her own mother, who died in 1905. It was promulgated by John Wanamaker of the Philadelphia department store. Wanamaker is considered the father of marketing in the US. Jarvis was later horrified by the turn of the holiday into a commercial opportunity. She came to despise Mother’s Day with its sale of cards, candy and flowers, and spent her last penny fighting it. But my problem about Mother’s Day, or Father’s Day, for that matter, went beyond my childhood poetry trauma or doubtful contempt for superficiality. My favorite aunt and uncle were childless. My cousin had lost a child to illness. Those days with their glorification of motherhood and fatherhood must have been unbearable for them. I also realized that not all parents deserve idealization. A friend’s mother ran away with her best friend's husband. A father on my street often chased his son with a stick. Why did they rate automatic tribute on Mother’s Day and Father’s Day? All of this is relevant because this week in Israel we celebrated our Mother’s Day, now renamed “Family Day.” The American Mother’s Day takes place on the second Sunday in May (Jarvis’s mother died in May), and Israel’s is marked on Rosh Hodesh Adar. Few realize the reason for the date. 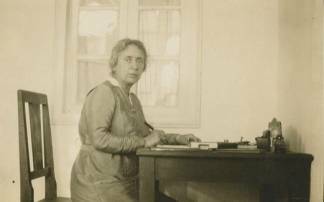 It’s the yahrzeit, the anniversary of the death, of modern Jewish heroine Henrietta Szold. (To clarify a few points often incorrectly repeated: the date is not Szold’s birthday, which is a less significant date in Judaism than day of death. Szold died on the evening of the first of Adar. I have visited her grave on the Mount of Olives. Rosh Hodesh Adar is always two days, and Mother’s Day/Family Day is sometimes celebrated on the last day of Shvat.) Why connect Henrietta Szold to Mother’s Day? I appreciate her many biographers who have eschewed hagiographies to show that the brilliant, persuasive Ms. Szold had faults as well as extraordinary merits. Born in the US in 1860, you’ll find her honored among the likes of Abigail Adams, Susan B. Anthony and Rosa Parks in the American Women’s Hall of Fame in Seneca Falls, New York. She invented the night school system for immigrants in her native Baltimore, providing English and education for citizenship for Jewish and non-Jewish newcomers. She edited important books for the fledgling Jewish Publication Society. One hundred years ago this weekend, in the vestry of Temple Emanu-El in New York, she started Hadassah, the Women’s Zionist Organization of America, which focused primarily on health in pre-state Israel. She created the plan to bring modern medicine to the Middle East even though she was neither a nurse nor a doctor. When she moved to prestate Israel she headed the social welfare department for the Jewish Agency. She was not a social worker. Szold also organized the program of child rescue called Youth Aliyah. She wasn’t a trained administrator. But most significantly, we mark Mother’s Day on the anniversary of her death even though she was not a biological mother. I LOVE this concept. It requires a national leap in our understanding of the essence of parenting. It adds new meaning to those who argue that biology isn’t destiny. The rescued children whom Henrietta Szold met on the Mediterranean shore and to whom she provided personalized care called her “Ima,” Hebrew for “mother.” Even as an octogenarian, she would sometimes be awakened at night to meet young immigrants. They sought her advice and love. If Henrietta Szold, a single, so-called childless woman, can be our role model for Mother’s Day/Family Day, this means that the many women who aren’t biological parents are also included in the vision of the Jewish parent. Not having biological children doesn’t excuse anyone from responsibility for the next generation. It means that Mother’s Day/Family Day is a celebration for everyone who invests in the next generation. Like my aunt and uncle. Like the singles who are leaders in their communities. The ultimate Torah commentator Rashi (1040 –1105) says (Numbers 3:1) that helping to educate a child is also called parenting. He was referring to Moses instilling values in his brother Aaron’s children. We are going through a time of enormous upheaval in family life. According to headlines in The New York Times this week, the number of American mothers under 30 who aren’t married now exceeds those who are. For these American women who, by choice or circumstance, bring up children as singles, marriage may be seen as a greater emotional and financial burden than being unmarried. In Israel the statistics are not as extreme, but single parenthood makes up one quarter of the families. The number of never-married single mothers has increased from 8,400 in 2000 to 15,100 in 2009 – an increase of about 80 percent. Like them or not, these are the numbers. The statistics also say that children of single parents usually need even more support from those aunties and uncles and from their community than do those who are fortunate enough to have two loving parents. Mother’s Day/Family Day isn’t time to romanticize parenthood. Instead, we should seek means to welcome into the family fold all who want to lend a shoulder to the awesome task of contributing to the next generation.